Yesterday was the University of Alabama's first football game of the season, along with most other college football teams. We love making or picking up game day eats. 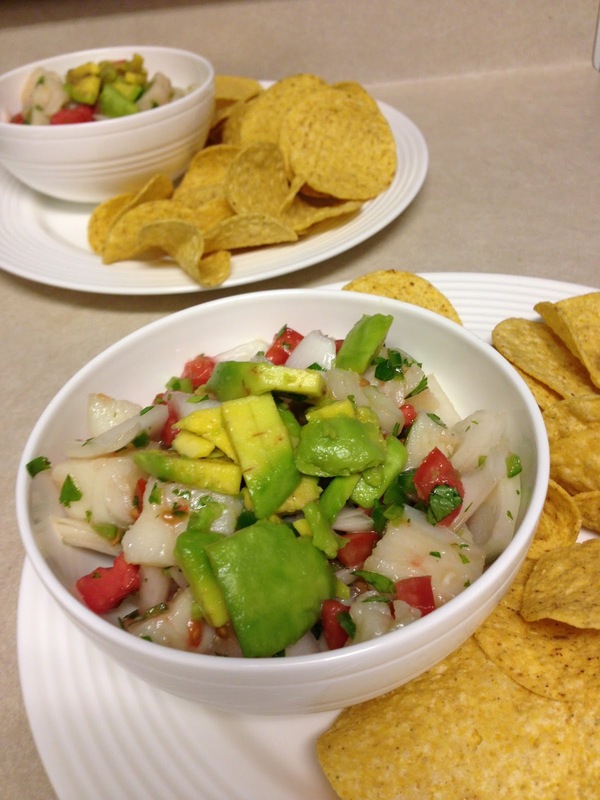 Ceviche is probably not near the top of the list for traditional football food, but the cool vibrant flavors pair well with the still hot muggy days of summer. 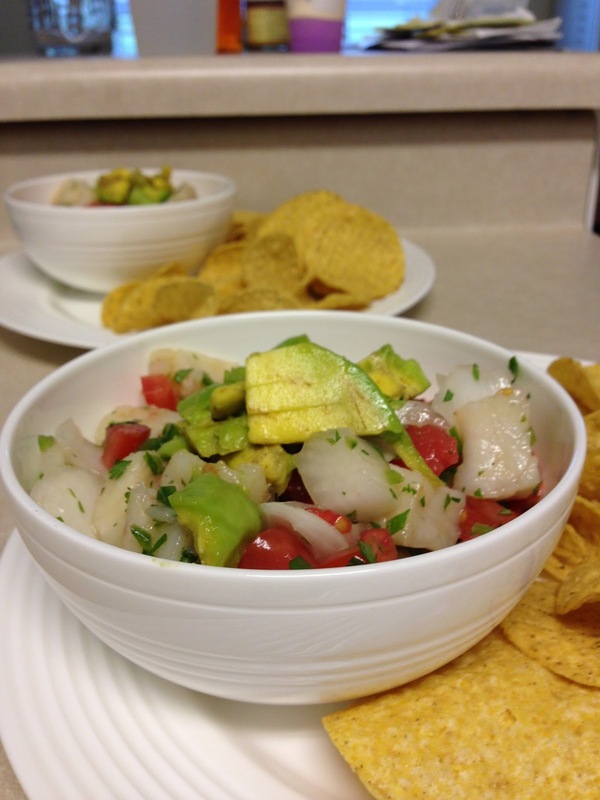 We chose to go with a fish based ceviche, and searched out recipes by Rick Bayless and Jose Andres. (I've written about our excellent ceviche at Jose Andres' restaurant in DC, Oyamel, would recommend to anyone traveling there). We chose one by Rick Bayless, a classic ceviche dish served at his Frontera Grill restaurant, and used red snapper. The red snapper is essentially "cooked" by the lime juice over 4 hours. The onions are combined with the fish for their many hour soak. 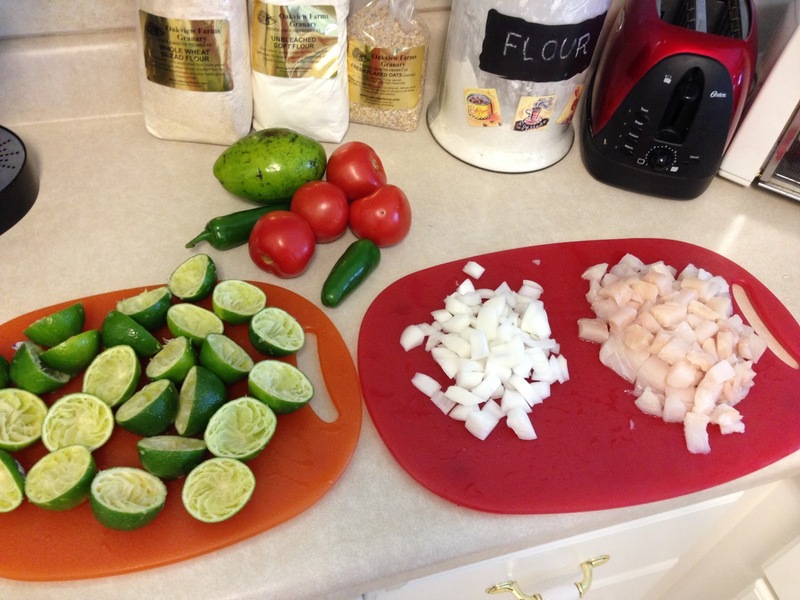 It took about 12-14 limes to get the fish and onions completely submerged. I'm so glad I have the citrus juicer attachment for my stand mixer! It was still a workout for my arms pressing so many lime halves, but I can't imagine doing this without some motorized help. 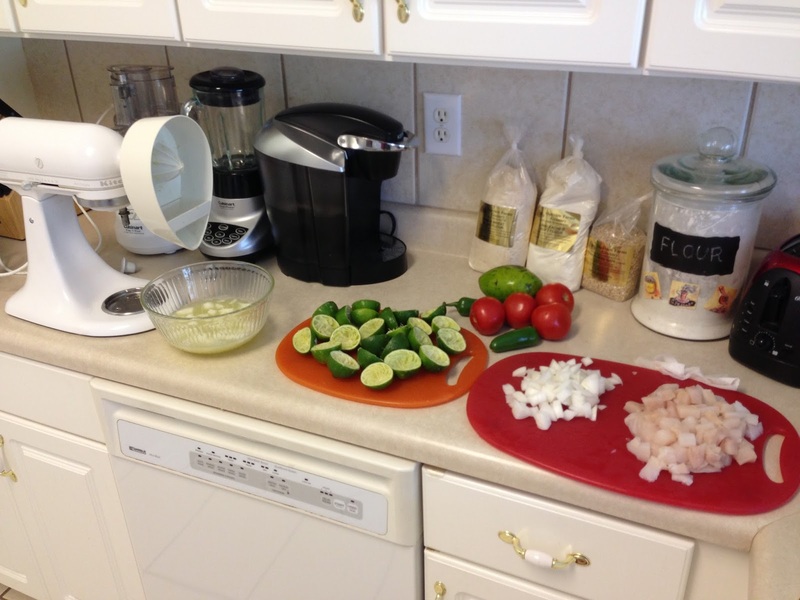 Zac diced all the ingredients while I was juicing. We waited to cut the avocado until right before serving. The picture above shows the fish and onions after their 4 hour soak, then drained. The recipe calls for olives but we omitted them (I'm not a fan). We also used sugar vs orange juice, and included the optional olive oil. It was delicious! In a 1 1/2-quart glass or stainless steel bowl, combine the fish, lime juice and onion. Use enough juice to cover the fish and allow it to float freely; too little juice means unevenly "cooked" fish. Cover and refrigerate for about 4 hours, until a cube of fish no longer looks raw when broken open. Drain in a colander. MAKE AHEAD Working ahead: The fish may be marinated a day in advance; after about 4 hours, when the fish is "cooked," drain it so that it won't become too tangy. For the freshest flavor, add the flavorings to the fish no more than a couple of hours before serving. NOTES Serving Options Place the ceviche in a large bowl and let people spoon it onto individual plates to eat with chips or saltines; spoon the ceviche into small bowls and serve tostadas, chips or saltines alongside; or pile the ceviche onto chips or tostadas and pass around for guests to consume on these edible little plates. 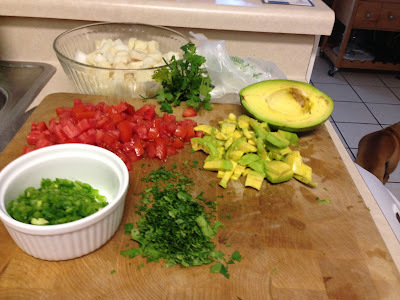 Garnish the ceviche with cilantro leaves before serving.